Delicious, for the Love of vegan food. Hi everybody! Hope you all had a great holiday! I know I sure did! Even though Christmas is over, it doesn't mean that we can't enjoy pumpkin spice and everything nice all winter long! Here's a delicious recipe for Coconut Spiced Squash Bread. 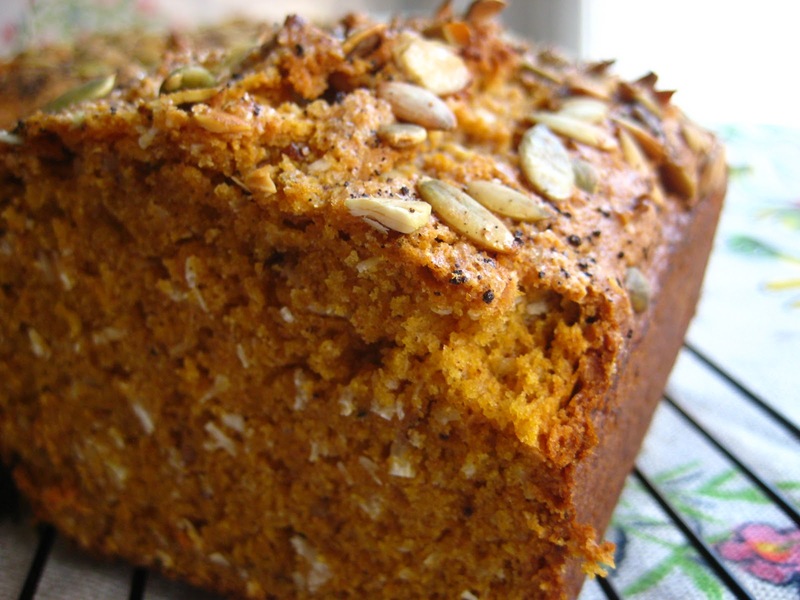 Use freshly roasted pumpkin or butternut squash. Or try a different squash altogether! Whenever I roast squash for dinner, I always makes sure to roast a little extra to set aside for baking! Roasted pumpkin freezes extremely well. Line 2 standard sized loaf pans with parchment paper. Combine the flax and water. Set aside. In a large mixing bowl, whisk the dry ingredients until smooth. In a separate mixing bowl combine the wet ingredients and mix in the flax mixture. Add the wet mix to the dry mix and gently stir until the flour is well incorporated into the batter. 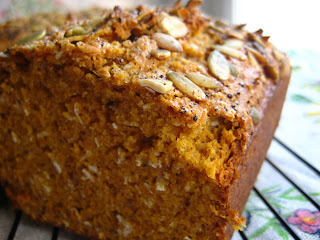 Pour into the prepared loaf pans and sprinkle with pumpkin seeds, vanilla powder and coconut shreds. 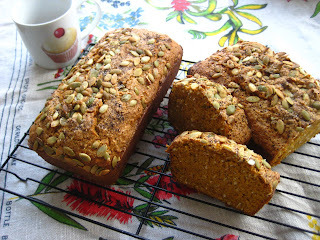 Bake for about 50 minutes or until a toothpick inserted into the center of each loaf comes out clean. 2 Vegan Dipping Sauces : Chive Sour Cream and Smoky Chipotle Mayo! Lisa Michelle Mongiovi. Simple theme. Theme images by friztin. Powered by Blogger.